Concrete stains can add depth, natural color and richness to concrete surfaces. Concrete stains are designed to create a translucent mottled effect with tones and hues more natural looking than the solid and opaque effect standard with acrylic paint and concrete paints. 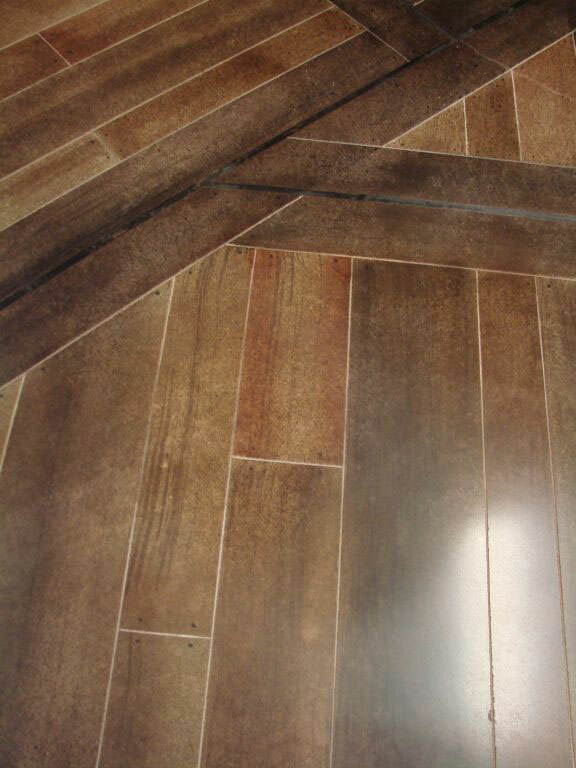 Concrete stains are applied to the cured and dry surface of concrete and can give a rich earthy finish that can mimic, wood, stone and natural colors. Water based non-reactive stains – These penetrate and deposit color as a wood stain would. They are then sealed to lock in the color. Available in a virtually unlimited palette of colors. Water based stains are ideal in locations that need low to no VOC’s, for surfaces that are non-reactive to traditional acid stains, or for use as a highlight or color shift on previously stained concrete surfaces. Concrete Dye Stains – SS DYE-namic concrete dyes are able to be used both interior and exterior. Concrete Dye is made up of extremely fine ground color particles dissolved in a liquid solution. Most Dyes are engineered to deeply penetrate, by absorption into the open pores of the concrete’s surface. With over 30 standard colors and unlimited blending options dyes can be applied over another color to create monochromatic, multishaded, multicolored, variegated and unique designs. The Dye itself will not chip, flake, crack or peel. Dye are known for their quick installation time as compared to chemical acid stains and their vibrant colors if desired.Acid based reactive stains – These stains use acid and metallic salts with a chemical reaction to etch and permanently deposit color into concrete. Acid stains are harder to apply but provide a dramatic and one of a kind depth in color and texture. Acid stains can be sealed or left unsealed and are completely UV stable. SS DYE-namic colors can also be blended in the SS Polyaspartic coating product to provide greater stain and abrasion resistance. Both of these types of concrete stains can be applied to new or old concrete. Concrete stain is a cost effective way to add color and finish a concrete’s slab to provide a designer decorative effect. 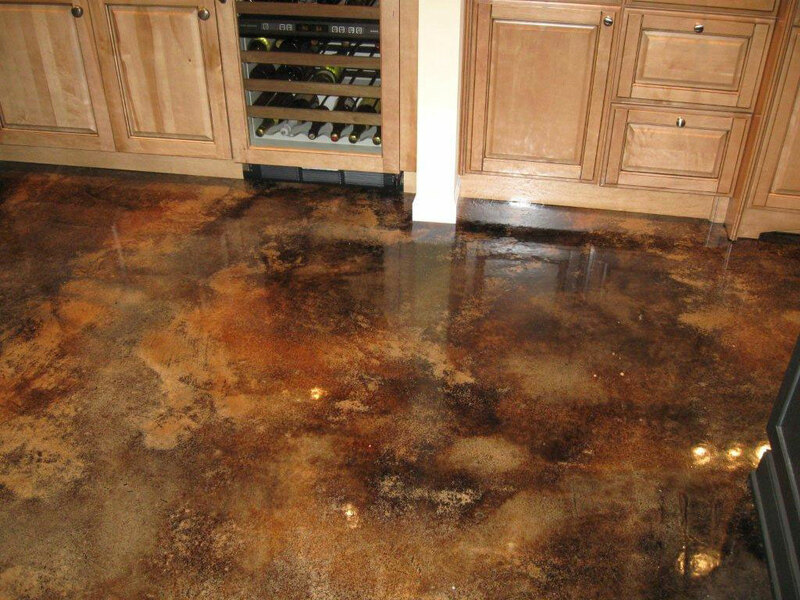 Concrete stains are used around pool decks, on interior floors, walls, outdoor patios, driveways and commercial floor spaces like retail, restaurant and showroom floors.